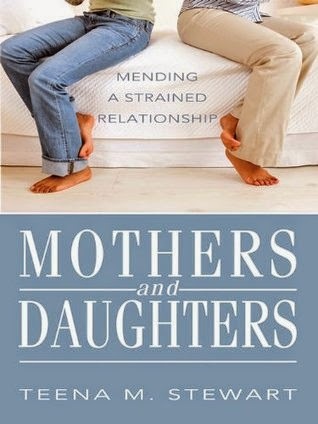 Summary (from the Author): Teena Stewart's book, Mothers and Daughters: Mending a Strained Relationship, will help you name your hurts, face the barriers that stand in the way of a healthy mother daughter relationship and forgive what feels unforgivable. Learn to cultivate a friendship, communicate more effectively, and become a part of the change you want to see. There is hope for restoration and renewal. ON SALE FOR .99 ON AMAZON THIS WEEK! 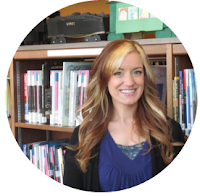 Teena Stewart is a published author, an accomplished artist and an experienced ministry leader Her most recent books include, Mothers and Daughters: Mending a Strained Relationship (Beacon Hill) and Brave New Century (Prism). I arrived at my women’s small group frustrated and depressed. I’d just spoken with my mother by phone. Whenever I talked with Mom I came away frustrated. She was a very negative person who found fault with everything and everyone. She was also a non-stop talker who never let me get a word in edgewise. How can you have any kind of a connection with someone who doesn’t listen and doesn’t understand you? The most troubling thing of all was her inability to perceive that anything was wrong with our relationship. Each time our calls ended I found myself in a dark emotional pit. During prayer time with my group that day I shared my frustrations and asked for prayer. I was surprised to learn that several other women in my fellowship wrestled with similar strained relationships. Apparently it was more common than I thought. I wondered how many women felt frustrated regarding unhealthy relationships with their moms so I sent out a questionnaire among some of my writer friends and asked for their input. The results were amazing. Women who were in good relationships with their mothers imparted encouragements and touching stories. Those who were wrestling poured out their hurts. The idea for my book Mothers & Daughters: Mending a Strained Relationship came from my desire, not to write a “tell all” book that dished the dirt on my mom, but to encourage women and give them hope that they could improve these connections and enter into something, if not perfect, that would at least be better and less painful. A: My desire to improve my relationship with my mother, which at best could be described as strained. When I shared some of my frustrations with women I knew I was stunned to learn that many of them also had painful connections with their moms. I wanted to encourage women who felt there was no hope for improvement. A: I interviewed many different women, some with good relationships and some with poor ones. Their input on why these relationships were what they were was invaluable. Everything is from a Christian perspective and gives real life examples of these bonds. Based on those examples and my own experience with my mom, I share suggestions for what we can do to bring about improvement with the understanding that we have to set aside our desire for an ideal relationship. Q: Why do you think so many women struggle with this? A: There are a number of reasons. Dysfunction can be passed down from one generation to the next. Sometimes moms become controlling because they want to prevent hurt or want to live their lives through their children because of some unmet need of their own. Sometimes there is mental illness. Sometimes the mothers have experienced deep hurts in their own lives so they function based on trying to protect themselves. Sometimes it’s personality differences. There are many different reasons. The underlying thread that I saw as I wrote this work was that it’s because everyone is broken. Q: What do you hope women will learn from this book? A: First of all, forgiveness. If we can learn to forgive it will help us move on and avoid bitterness. But also, that there are no perfect relationships and if we want a relationship to change, we are the ones who have to make it happen, and not necessarily the other person. Q: What is the exact book title and where can people purchase it? A: It is called Mothers and Daughters: Mending a Strained Relationship published through Beacon Hill. You can order it via amazon.com or most any bookstore or through my website at www.teenastewart.com.